The 2018 Kia Rio Hatchback is a looker that has all of the makings for a reliable commuter car. Most of the time, car shoppers will spot compact vehicles and typically offer “it’s so cute” comments about them, and then just mosey along. Surprisingly, there is a vehicle that although categorized as small, is big in so many ways. 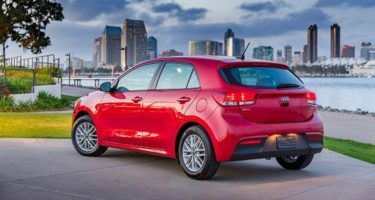 The 2018 Kia Rio Hatchback is a vehicle that offers not only value but also space and practicality to boot. For 2018, the Kia Rio is completely overhauled and built on a new platform. The engine carries over, while all other components are new or spiffed up. 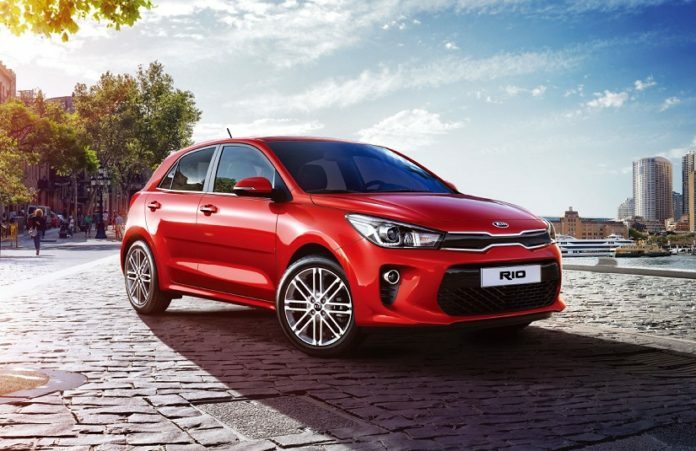 The Kia Rio 5-door Hatchback shows off an exterior design that is chiseled, sporty and very stylish. The car sports a prominent beltline, long hood, headlamps that sweep back and the famed family tiger nose grille. Inside the subcompact’s cabin is roominess that is sure to raise brows. 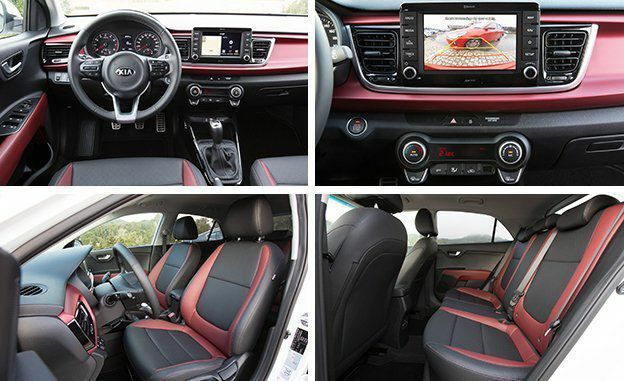 The vehicle’s comfy seating has one-size-fits-all appeal, and there is head and leg room for even a 6’5”-er! In the rear, again, roominess and comfort prevail. Even though the Korean automaker states, the vehicle offers room for five, actually taking away one from this equation will keep it from being a tight squeeze for rear riders. The 5-door Rio features 17.4 cubic feet behind the rear seats, and when they are folded, it offers up to 32.8 cubic feet of storage space and gets plusses for its wide liftgate opening and low liftover height. The overall cabin is tidy and attractive with soft touch coupled with texturized plastics that reign supreme, along with brightwork trim as accents. On the tech front, there’s an available UVO telematics system that’s a cinch to operate, Apple CarPlay and Android Auto. As far as safety features, ‘the little Kia that kould’ offers airbags, electronic stability control, ABS, vehicle stability management, hill-start assist control, and tire pressure monitoring system. What is missing, however, is a native navigation system which according to the automaker, folks prefer their own over an embedded one. Giving the Rio hatchback some gas is a fun experience. The 1.6-liter 4-cylinder engine that produces out 130 horses and 119 lb-ft of torque is not particularly fast but spirited when merging or passing and really puts forth a satisfactory effort. Worth a mention, the cabin also remains quiet when zipping about town. Overall, the Rio is pretty ahead of its pack with regards to ride quality and handling which gets noteworthy marks. At the pumps, the Rio is no lush—28 city/37 hwy and 32 combo for the 6-speed automatic and 29/37/32 for the 6-speed manual. 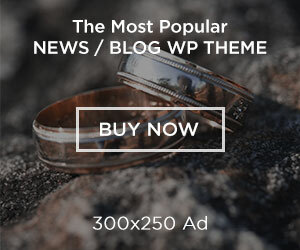 Next articleYou asked for it, so here it is, the BEST of 50BOLD!